Could a Penny Make You Rich? 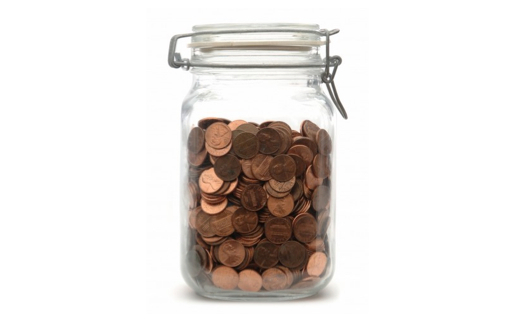 Income for Life… from a penny? If someone were to offer you a choice to A) Receive a single PENNY today, and your money will double every day for the next thirty days, or B) Receive one MILLION dollars cash today, which would you choose? The penny doubled is actually worth FIVE times the quick million. If you focus only on your immediate results, no doubt you will be disappointed for the first few weeks with your slowly doubling penny. Something magical happens as you approach the three-week mark, though. Your penny has become thousands, and now those thousands are doubling to become millions! If you had the opportunity for compounding results like this, might you have income for life? You bet. Direct selling works a lot like this. Your first commission check may be enough to treat yourself and a friend to dinner and a movie. Give it consistent effort and stick with it, though, and before long you will experience that magic moment where your business takes on momentum. This is where direct selling becomes a vehicle – not just for extra cash on the side – but possibly for true wealth and residual income. Imagine if you gave up your doubling pennies on Day 17 because you weren’t seeing the big bucks yet! Because of the doubling penny principle in network marketing, in just shy of two years I went from zero to extraordinary income. It’s not magic. It’s the power of the direct selling business model. Bet you never look at that penny on the street the same way again! For more insights on what it takes to be successful and how to create significant income in direct selling, check out my training “How to Become a Network Marketing Rock Star” on my website, kathleendeggelman.com. What do you think about the power of a penny doubled? Share your insights below! Did you know that building a successful Jeunesse business comes down to just FIVE activities? It’s true. If you can master these five activities and do them consistently, you can take your Jeunesse success to the top. Who do you know? You know more people than you think, so ask yourself this question on a regular basis, and keep adding people to your list. Set a goal to add five names to your list every day. You’ll be amazed at how big your network actually is! It would be great if your list would pick up the phone for you, but it probably won’t. Keep your list with you at all times. Pick up the phone and call people throughout the day and introduce the idea to folks as you see them in person. Invite your contacts to learn more about Jeunesse. Stop by their home with a sample of the serum. Ask them to meet you for a one-on-one coffee meeting, a home meeting, an opportunity webinar, or a larger event like a Jeunesse Leadership Conference. Now that you have your contacts’ attention, share the opportunity. If you brought them to an opportunity webinar or larger event, the top leaders will do this part for you. This is a great reason to bring as many people as possible to these events! Whoever shows the plan the most has the most to show for it at the end of the month. Set a goal to sponsor one person per week. Imagine the level of your Jeunesse success 52 weeks from now if you sponsored one person per week. What if 10 people on your team did the same? This is often the most intimidating part for people, and we’re all busy, yet follow up is key. Have you heard the phrase, “The fortune is in the follow up?” If you leave out the follow up, you are leaving a lot at the table. These five Jeunesse success activities are simple, but not necessarily easy. It takes courage and perseverance to stay the course. This is the course though… Five simple steps. Rinse, wash, repeat. So if you can stretch yourself and become unstoppable, you can take this business to the top and be a walking Jeunesse success! If you want to know more about what it takes to achieve the success you are meant for, you are welcome to grab a free copy of my Art of Success eBook. This captures the principles responsible for my own success, and advice for how to take your own life to the next level. Know that I am here to help. The next five years are going to be incredible. If you are on my team, reach out to me. Let’s get some big momentum going for you and your team! I’d love to hear your thoughts on the five steps to Jeunesse Success. What’s your favorite step? What do you do to keep yourself motivated? Share your comments below! Building Jeunesse… Millionaires Get Nervous Too! I was recently at a conference in Las Vegas. No, I didn’t go to Cirque de Soleil or gamble the night away at Ceasars Palace. What I did do, was network. And network. And network. I was there building Jeunesse, and it was a big week of networking! I shared a lot of samples and had a lot of conversations about the Jeunesse products and business opportunity. Believe it or not, although I have made millions of dollars in the direct selling industry, this solid week of networking was a big stretch of my comfort zone. Do you want to know what I do whenever I find myself out of my comfort zone? I pat myself on the back and I say, “Good for you!” I know that when we are stretching, we are growing. 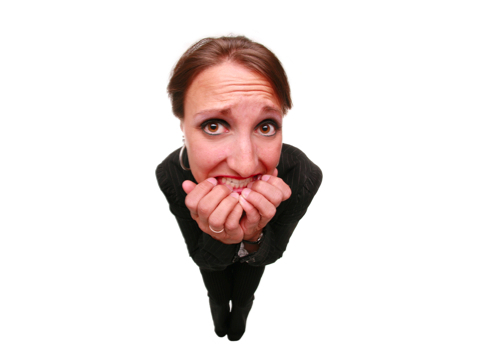 If you can learn to feel good about being a little nervous, you can be successful at building Jeunesse. When you have butterflies and you go for it anyway this means that you are doing what others won’t and, as a result, you will have what others will not. Now I want to hear from you. Why are you building Jeunesse (or thinking about building Jeunesse)? Comment below! When looking at an opportunity timing does matter. EVERYBODY wants to look younger, feel better, and make more money. Jeunesse is in 115 countries already, yet we just getting started in the United States and Canada. This means we have a ground floor opportunity, without the risk of a start up! Baby boomers have created every major trend in the last 60+ years. The wellness and anti-aging industry will probably be the biggest. According to Paul Zane Pilzer and Robert Kiyosaki, the wellness industry is going to become a Trillion dollar industry, and the network marketing industry is getting ready to explode. Jeunesse is positioned right smack in middle! We have an answer to people’s needs. In this economy, more people than ever are looking for a better way. It is great to be part of the solution. The Jeunesse products are based on patent-pending adult stem cell technology. We have our hands on something that is not widely available yet. This means perfect timing for you to profit! If you’ve ever waited for the stars to line up, the opportunity timing couldn’t be better. This is your time, it’s your turn! How is the opportunity timing perfect for you, in your life? Comment below! The community. I love that we’re creating a culture of giving. With Jeunesse Kids we feed hungry children around the globe, deliver urgently-needed medical supplies, and provide clothing, educational materials, and toys. The friendships and professional relationships I’ve created all over the world. Helping people look their best. I love hearing so many inspiring stories of people’s experiences with Jeunesse. Helping people achieve their financial goals. Who isn’t looking a way to create additional income in this economy? Our executive team. We have world class leadership, and it is an honor to be associated with them. My team. I have partnered with some of the top income earners in the network marketing industry, and together we have created a superstar team. Being in a position to teach & inspire others. This is a serious business and life-changing opportunity. I don’t take this lightly. The events that Jeunesse and our system leaders put on. Where else can you get this kind of inspiration and building up of people’s spirits? Working from home. I commute to my downstairs office and travel to places I want to go to. The personal growth. This business stretches me in ways I couldn’t have imagined. This business helps us become the best people we want to be for the world. That’s my Jeunesse Review. What’s your favorite thing about Jeunesse? Comment below! Did you know that millionaires are being created every day? We are now in the “Age of the Entrepreneur,” and getting rich is no longer a pipe dream. If you’re a person who has a bigger vision for your life and the world than it seems most people around you do, don’t worry – you’re not crazy, you’re actually in the right place at the right time! In fact, you think like the millionaires! How are these millionaires getting rich, you ask? 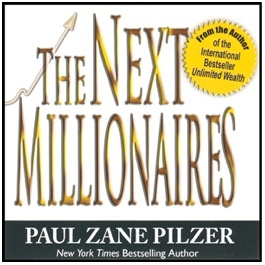 Ten million new millionaires will be created in 2006 – 2016. And most of these will be people who are in direct selling, technology, home-based business, product distribution, or an emerging trillion-dollar industry like wellness. Direct selling. Direct selling means that you market and sell a product directly to consumers, not from a traditional fixed retail location. This is indeed a growing trend. From the corporate standpoint, fortune 500 companies are lining up around the block to have their products distributed via the direct selling model. And millionaires are being created every day in this industry! This is because word of mouth marketing is the most powerful form of marketing on the planet. Think about it. Which are your purchasing decisions more influenced by: A billboard? Or your best friend telling you firsthand about her experience with a product? From the standpoint of the average citizen, getting involved with a direct selling opportunity is the simplest, low-risk, low-cost way to start a business. And because most direct selling companies involve a multi-level compensation plan, this is one of the most lucrative business models out there. This industry creates millionaires – in fact, it’s how I made my millions! Technology. Pilzer asserts that as new technology is developed it becomes viewed as a necessity and therefore drives the market. Before the iPad came out, we didn’t know we needed it. If you have your hands on the next technological phenomenon, this is your time to profit. If not, think about how you can integrate technology into your business. This could be as simple as joining the online conversations on Facebook, Twitter, and blogs. Millionaires think about how they can leverage what’s hot, and they take action on it! Home-based Business. Do you have a telephone? A computer? Internet connection? Well, then you pretty much have what it takes to run a business. Working from an office was necessary at one point because technology had not grown to the point where almost anything could be done virtually. Now it can. Today’s millionaires work from home. By the way, the tax benefits alone are worth having your own work from home business — saving is just as important as earning in the millionaires strategy. Running a business out of your home is not only a big money saver, though, it’s also a big lifestyle enhancer! I don’t know about you, but some days it’s nice to work in my robe. Whenever I did that at my corporate jobs I tended to get funny looks. Kidding! Product Distribution. The best type of product to distribute is a consumable product. Pay attention to this — it’s a secret of millionaires. This means it’s not a product that someone buys once and keeps for a very long time (like a car). It’s a product that a person consumes often and replenishes by purchasing more (like a food or skincare product). Another important factor to consider, which Pilzer also teaches, is that you want to have intellectual distribution verses physical distribution. Intellectual distribution means that you are teaching people about products or services that they didn’t know about before. My business is run this way. I don’t have a huge inventory in my garage, I don’t have a storefront, and I don’t have to drive around town dropping off orders. All I do is spread the word. Wellness and Anti-Age Industry. The baby-boomer generation has led business trends since this large group was born in the post-World War II era. Diapers were made for them, schools were built for them, and the real estate market was fueled by them. Now, as they age, the most important thing to the baby-boomers is their health. And it’s not just the baby-boomers. This is a world-wide, generation-wide trend. Fast food is out; organic is in. Looking younger is in. Millionaires know this, and getting rich is a real possibility if you carve out a slice of the trillion-dollar wellness industry. Will you leverage this trend and join the new millionaires? What do you think? Are you planning to become one of these up and coming millionaires? Comment below with your insights.